Prime is already well established as a facilities company with considerable experience in managing a wide range of facilities and servicing all aspects of production. 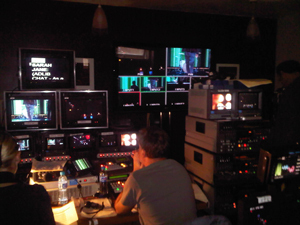 We know how television works, so are ideally placed to make broadcast TV and new media productions come alive on the screen. From a channel commissioned factual series to a one off documentary in HD or SD, we guarantee to keep production costs down using our own production and post production facilities. We have all that’s needed to make the creative content and meet the technical quality threshold. We have an excellent group of talented production personnel who provide a complete creative package, from programme content ideas to advice on location sourcing, and entire production facilities to fully compliant programme delivery. We serve all areas of media production including broadcast and video content for new media productions, commercials and corporate videos as well as news features and events.